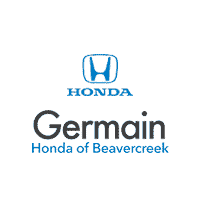 The day you brought home your new Honda Civic or Accord was probably one you’ll remember well for years — the way the interior felt as you slid behind the driver’s seat, the purr of the engine, and the way it zoomed down the streets of Beavercreek as you headed home. The thing some drivers put off thinking about is how they will be servicing their new Honda model when the time comes for routine oil changes, brake repairs, and more. Our team wants you to know that when you bring your Honda Pilot in for any of the regular service appointments required to maintain its longevity, you are getting the highest level of care possible. Customers in Dayton, Ohio can rely on our team to provide the parts needed for the job, whether you opt to perform the repairs at home or you allow us to do the honors. We never use aftermarket parts on your Honda Odyssey, and we wouldn’t want you to either. Carrying the variety of Honda-approved products that we do is an important step towards building a relationship with our customers, and knowing you have a place to turn when your vehicle requires attention is integral to that. You wouldn’t trust your Honda car, truck, or SUV to just any shop in Dayton, and we wouldn’t dare use anything but parts approved by Honda. Because your Honda HR-V and CR-V are designed to perform, we know that providing you with the tools needed to get the job done right the first time. If you want to order parts or accessories to customize your new Honda vehicle, you can do so by filling in the form below. When you send this to us, our team will be in touch regarding your request. We will let you know when your order is ready and answer any questions that you may have about your order. We look forward to assisting you in finding the right part for your vehicle.